Learn how to deal with emergencies in the field BEFORE they happen! Normally $14.95 -- Order yours today and pay just $9.99! Professional trainer Bob West and Tom Holcomb, DVM, provide important advice dealing with emergencies that could happen in the field. 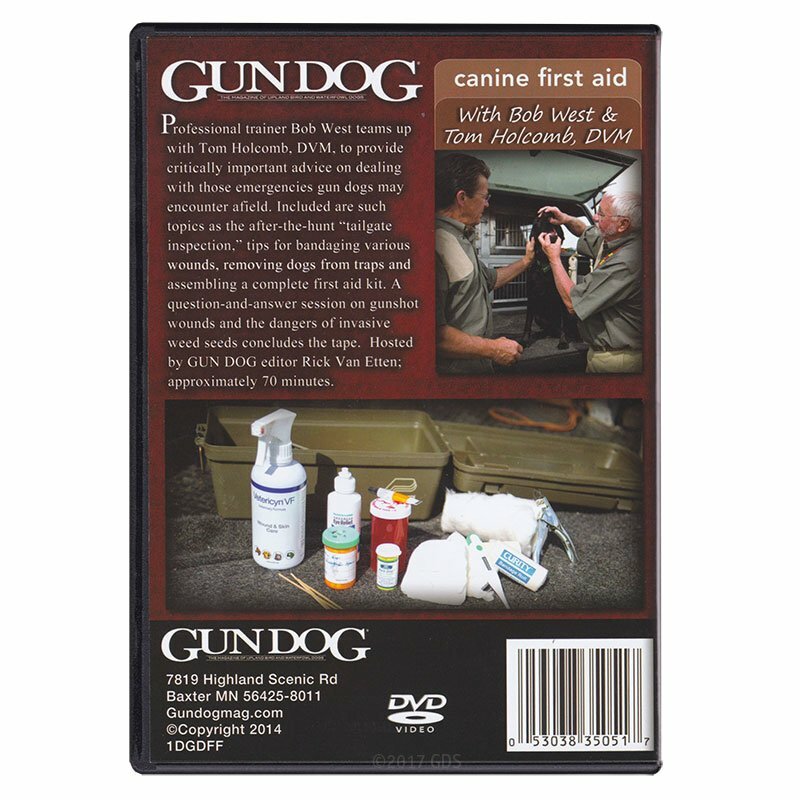 Topics covering after the hunt, "tailgate inspections", tips for bandaging wounds, removing dogs from traps, and assembling a first aid kit are all included. 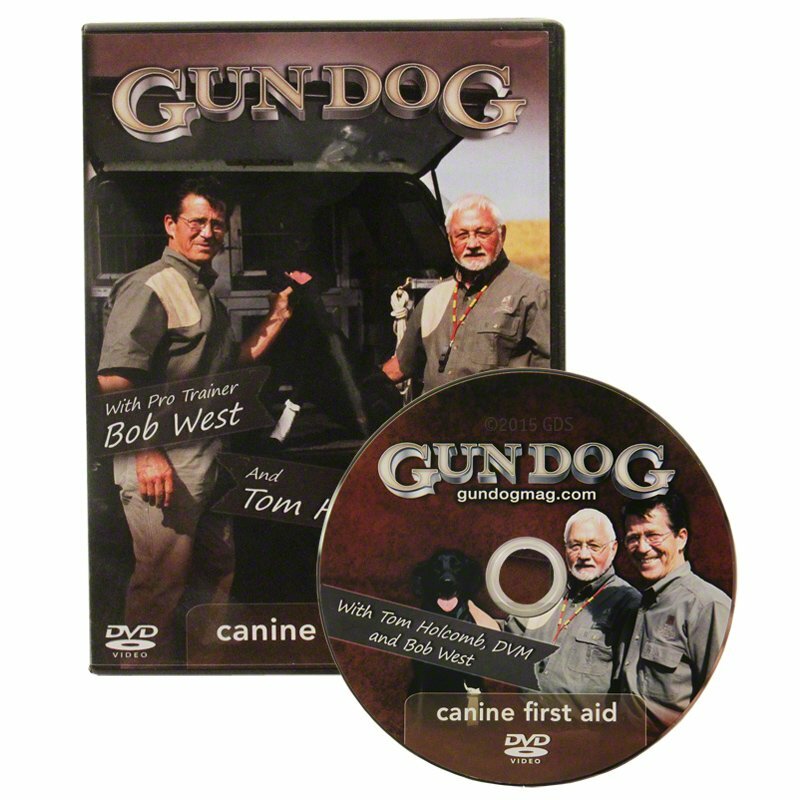 A question-and-answer session on gunshot wounds and the dangers of weed seeds concludes the DVD. 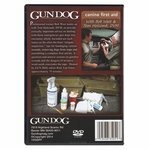 Hosted by Gun Dog editor Rick Van Etten.